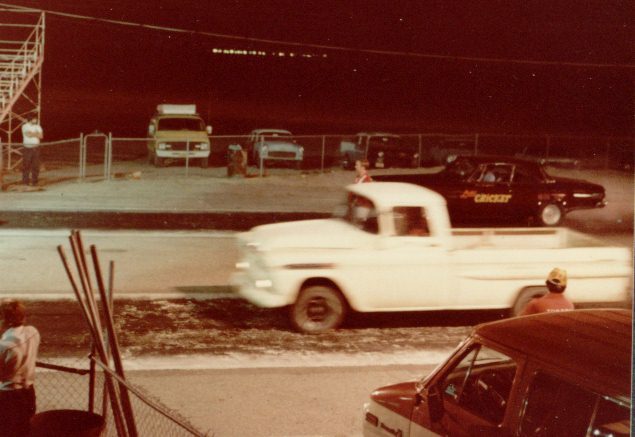 Oldest picture I can find, from early 1977 when we pulled the 235 out to overhaul it. 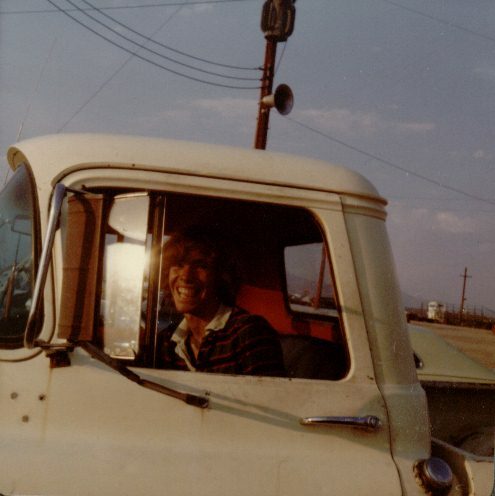 I think this was in 1978, when it was just another old stock truck, with beautiful house paint covering it inside and out. 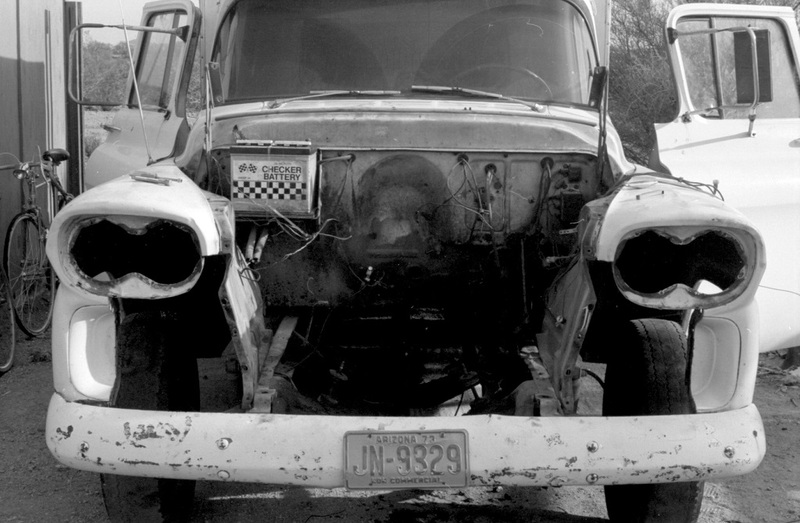 A quick engine swap, in March 1979. 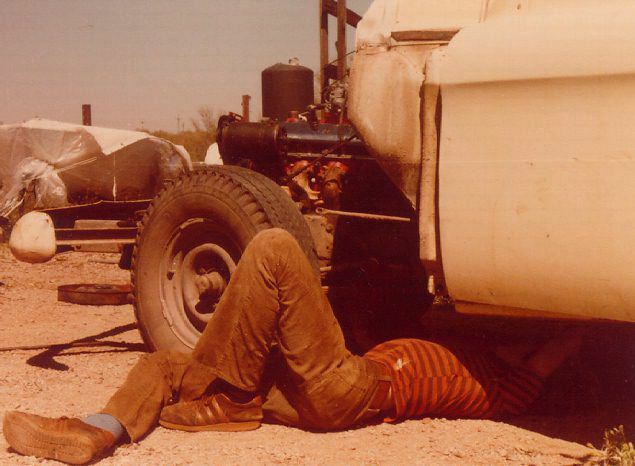 I conveniently got kicked out of school on a Thursday, so Friday morning I pulled out the 235, here I am Saturday morning hooking up the transmission to the 396, and we had it driving that night. 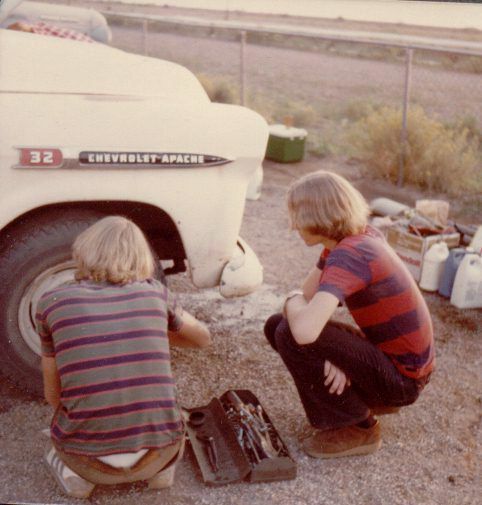 David and I doing some pre-race maintenance, probably tightening the wheel bearing. 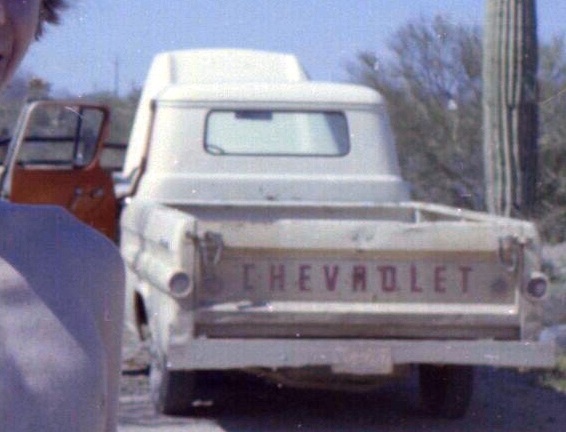 I still have that tool box. 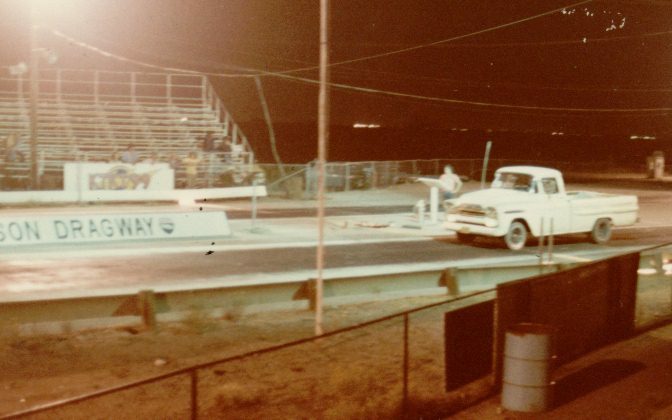 This was probably from the summer of 1979, we were at the old AHRA sanctioned Tucson Dragway almost every weekend that it was open in 1979, 80, and 81. Making a timed run at the weekly bracket races. 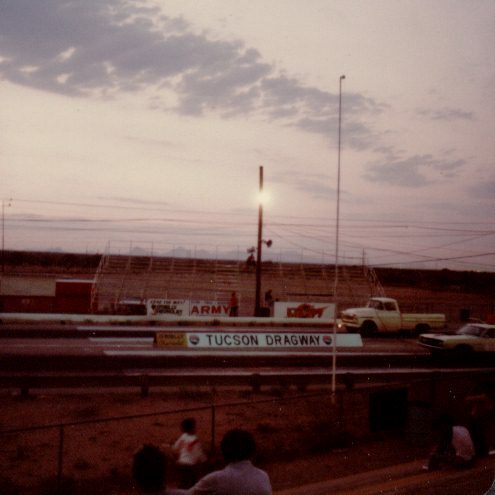 the staging lanes, October 1979. I think the truck is near the top right of the picture, just this side of the red car. I spent a lot of time hanging out there. Look at it go! that's a quick truck. I think it was in the low 15s at this stage. 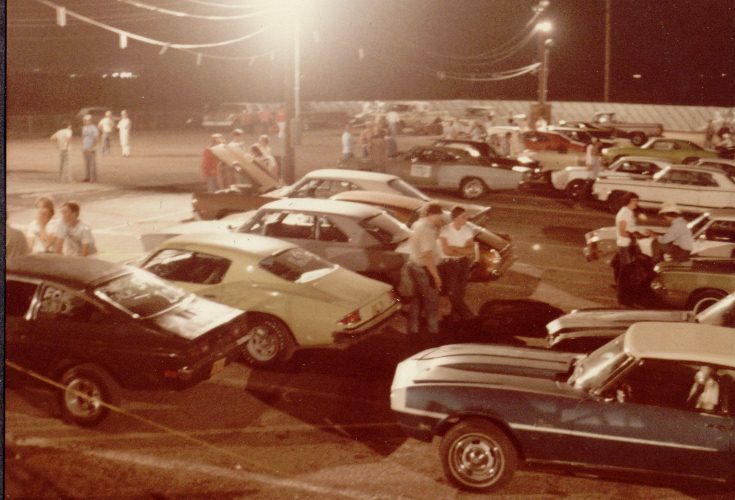 During the summer of 1980 we got it into the low 14s, with 4.56 gears, a bigger cam, open headers, etc. 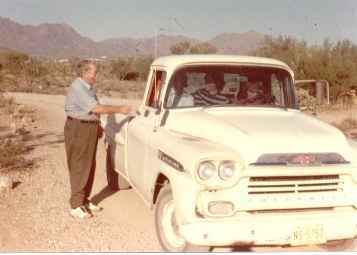 This is a neat shot of me and my brothers heading off to school, the University of Arizona. I think this was in the fall of '79, my grandfather was visiting about the time of his 80th birthday. 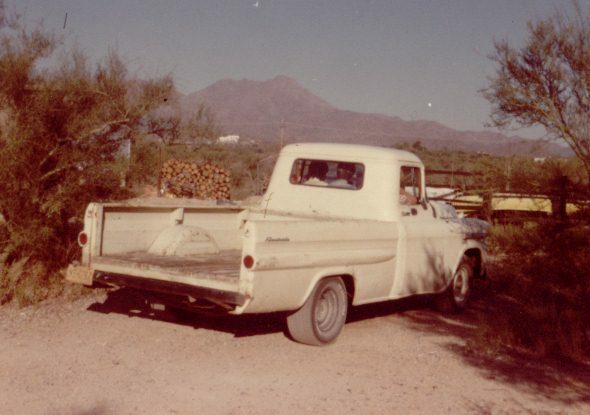 Beige house paint had been brushed on the truck by the previous owner, who was a house painter. The bed had about 1/4" of paint covering the wood, which preserved it well. 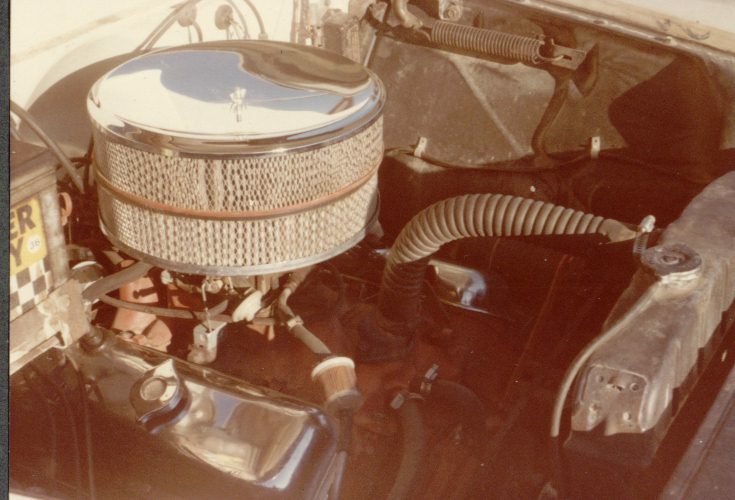 The engine in the old days...point distributor, Qjet on stock intake, generator, flex hoses, and the double air filter trick.